George has 16 years of web design, user interface design, digital art and web developer experience, 14 years of which has been with TriNet as part of their web dev team. At TriNet George was engaged with the design and development of of their HR Portal and annual enrollment sites. In the field of Marketing & Multi-Media, George enjoys the creative process when visualizing an idea or concept as well as the production portion where he can utilize his skills in order to produce the end result. From creating on-line tutorials, ad banners, digital graphics, logos, HTML emails, to video and audio recording/editing, George is comfortable working in these mediums utilizing his skills in Adobe CS6, Camtasia, Protools, and other programs. 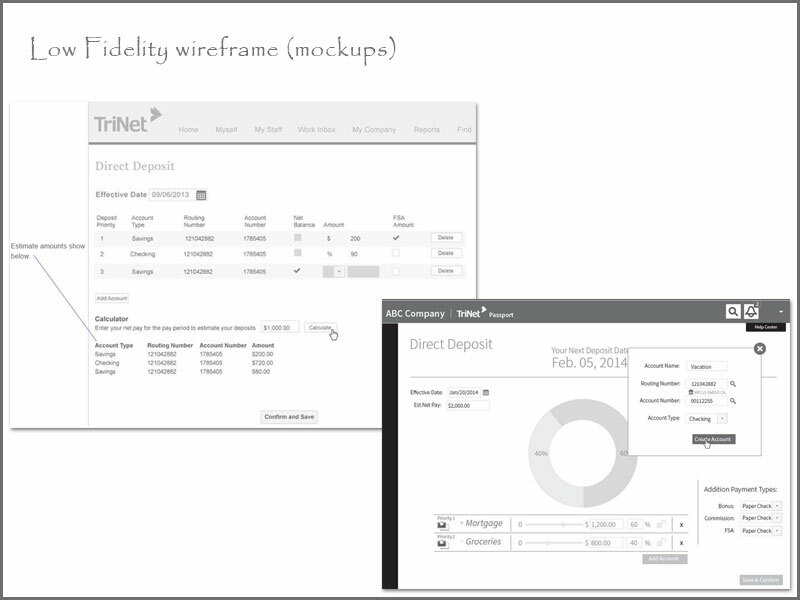 In UX design at TriNet, George created low and high-fidelity wire-frame designs with visual specifications and annotations for developers. For the design team he created an on-line Interaction Pattern Library. George keeps current with today’s industry standards and design patterns. On January 1st 2014, George completed Udemy’s online course “User Experience: The Ultimate Guide to Usability”. 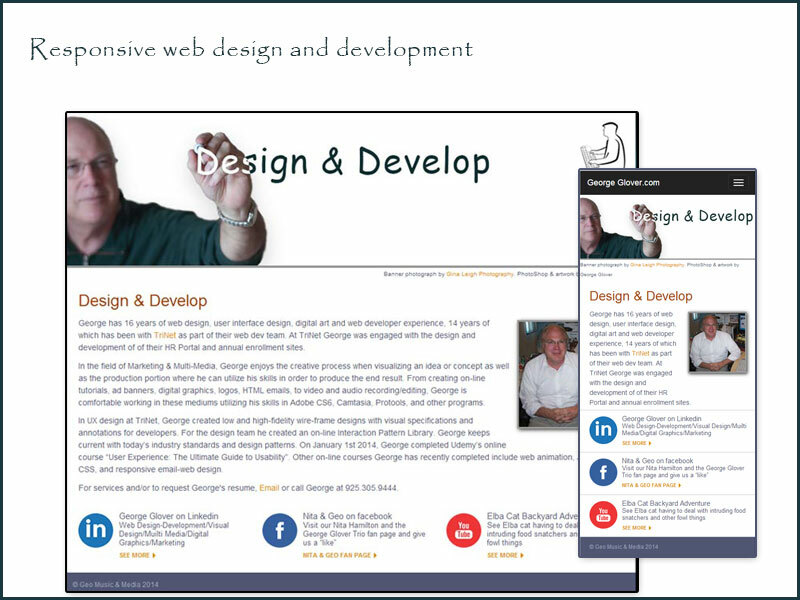 Other on-line courses George has recently completed include web animation, JAVA script, CSS, and responsive email-web design, bootstrap and WordPress. 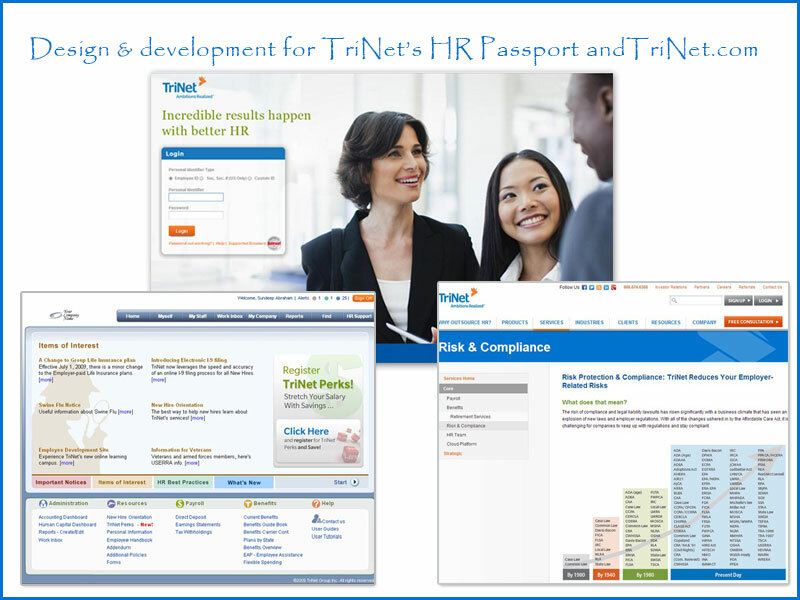 George designed and created the graphics for TriNet's current Passport Login page (top Middle) and two previous version of HR Passport's portal (bottom left). 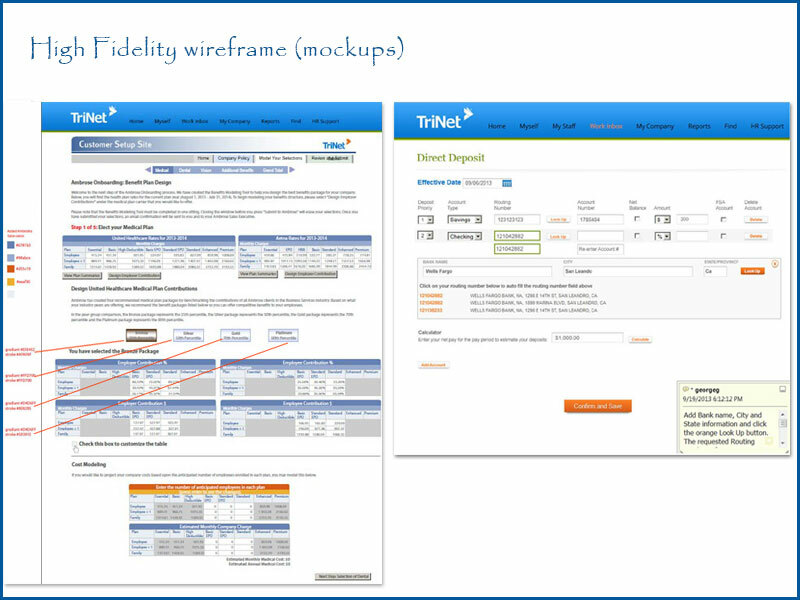 George supported TriNet’s Marketing team with HTML/CSS to reflect wireframe mockups for TriNet.com (bottom right). George also designed and maintained TriNet's annual Benefits Enrollment and Customer Service Sites. 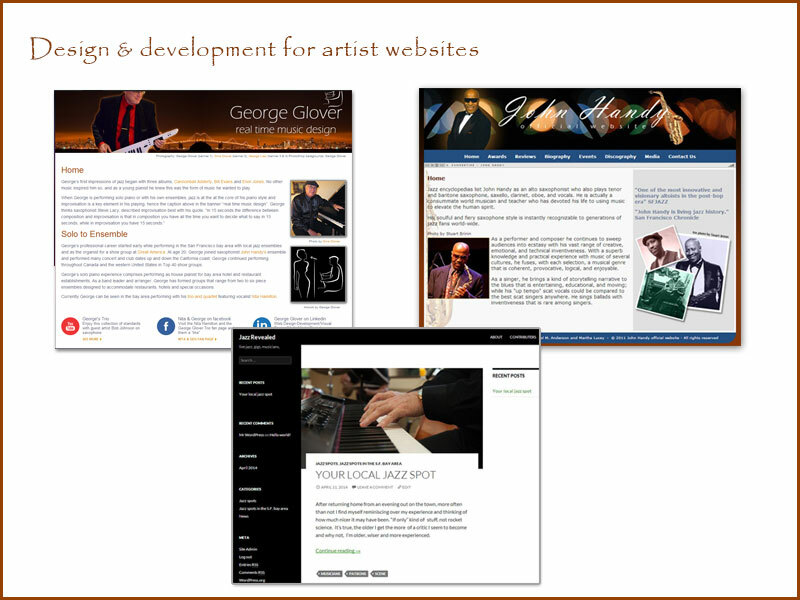 Designed and developed site for George Glover.com (top left), Bay Area jazz icon John Handy (top right) plus many more. This responsive web design is ready to be viewed on desktops, tablets and mobile. 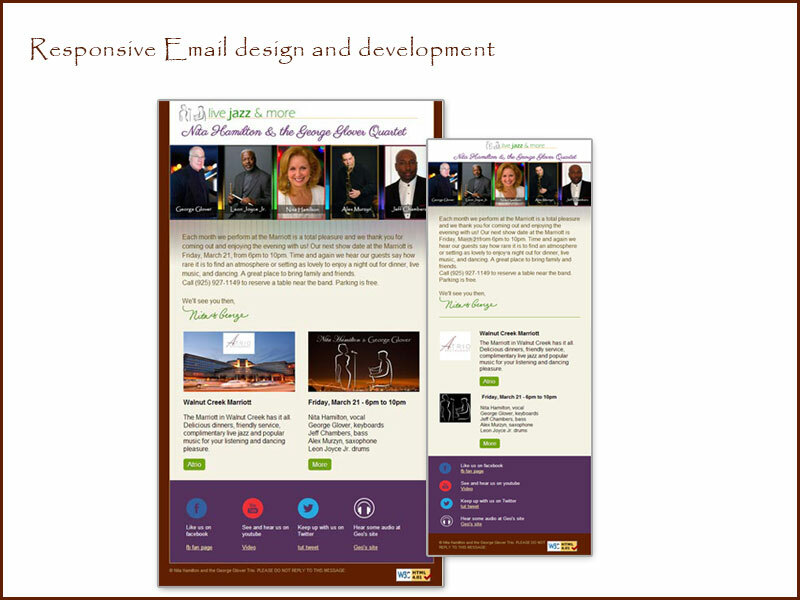 This responsive Email design is ready to be viewed on desktops, tablets and mobile. Low Fidelity Wire frame (mock-up) created in Illustrator. 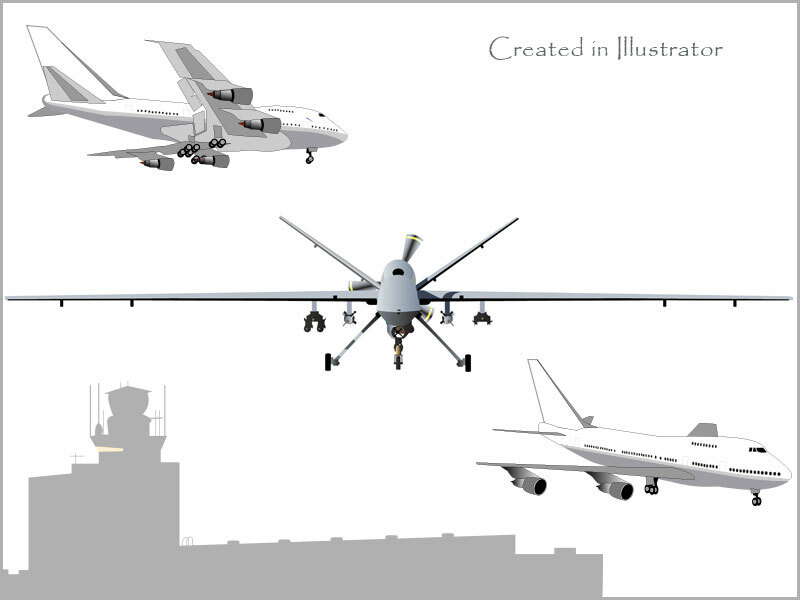 High Fidelity Wire frame (mock-up) created in Illustrator. 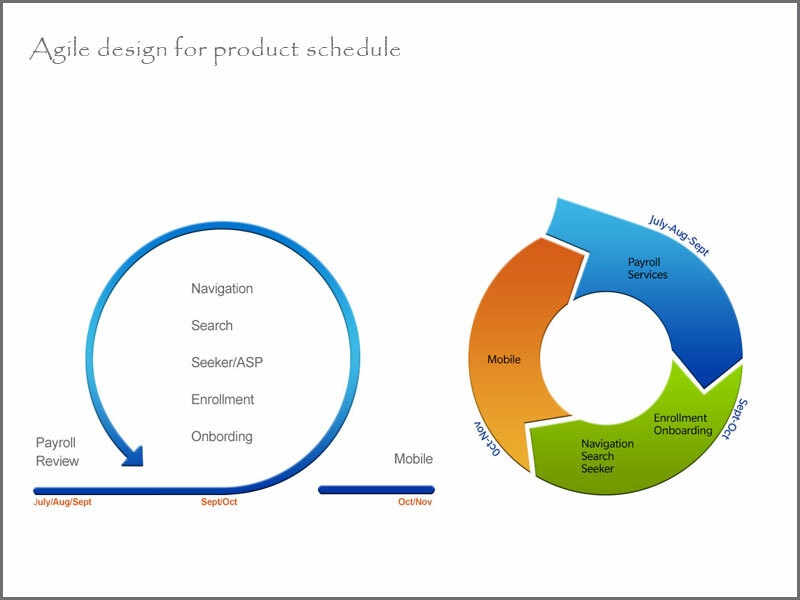 Agile project designs. 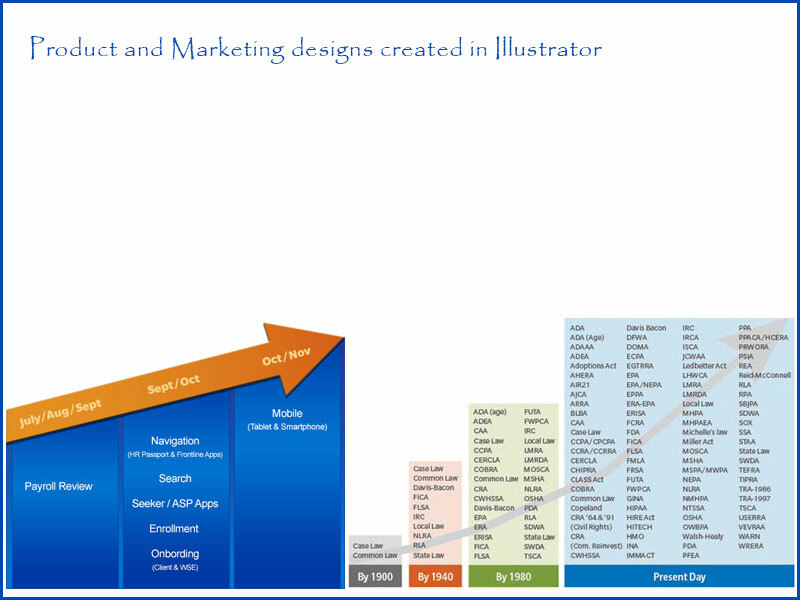 Marketing and web page designs. Logos created in Illustrator. 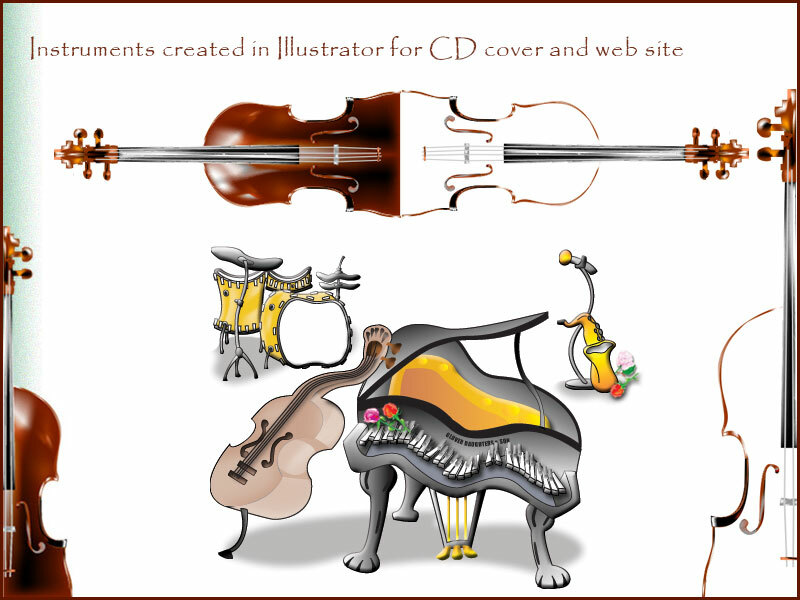 Geos instrument’s for CD cover and web site. 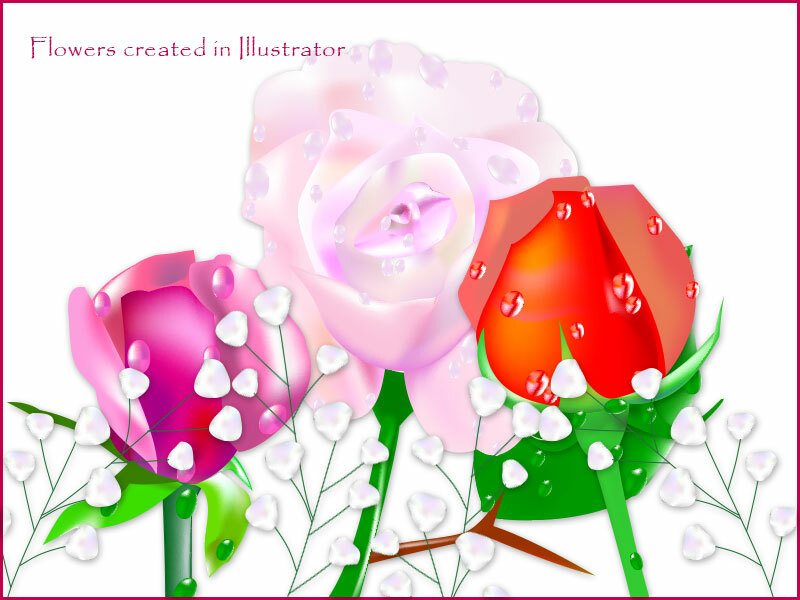 Flowers created in Illustrator Jets and drown created by George for TriNet marketing campaign. 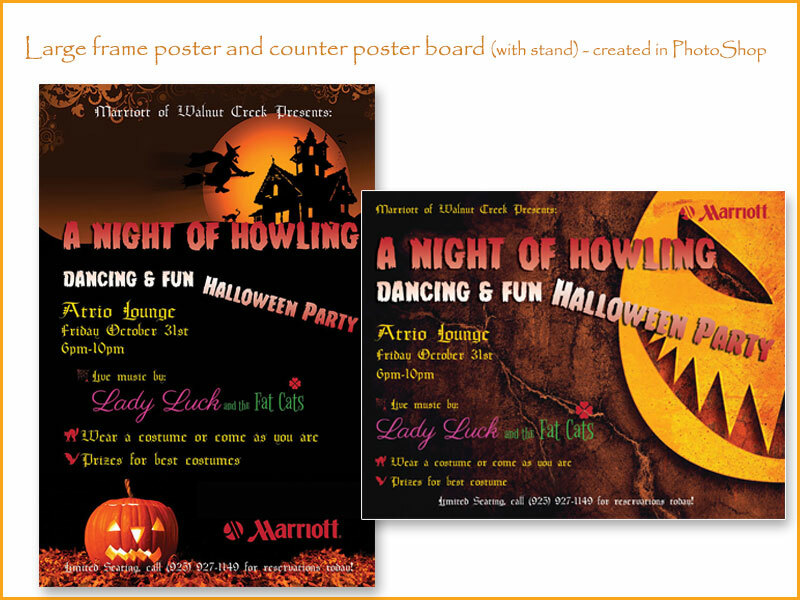 Large 24x36 wall poster and counter size poster board (with attached stands) for the Marriott Halloween event. For services and/or to request George's resume, or call George at 925.305.9444.